VW plans to suspend Golf production in Oct., Dec.
VW plans "production adjustments" for the Golf, Europe's top-selling car. FRANKFURT -- Volkswagen plans to suspend production of its Golf model at its Wolfsburg, Germany, headquarters for a few days in October and December to balance earlier over production. VW confirmed a report in the Bild newspaper that the Wolfsburg plant would halt Golf production from Oct. 4-7 and from Dec. 19-22. VW said the stoppages were part of regular production adjustments and were due to output being higher than expected thanks to workers keeping up production during the summer shutdown in July. VW denied an element of Bild's report, which said that the company expects to produce 15,000 fewer Golfs this year than was planned at the beginning of the year. Bild had cited sources close to the company for its story, published on Saturday. VW is not producing less than planned, a spokesman said. 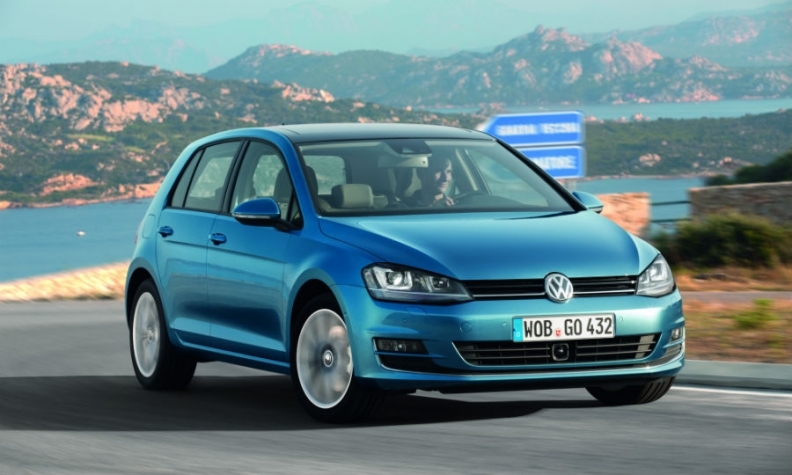 The Golf compact is Europe's best-selling car. VW sold 261,776 Golfs in the EU and EFTA markets in the first half, up 1 percent, according to JATO Dynamics market researchers. VW is facing production stoppages because of a separate dispute with suppliers. The company is curtailing output at four of its German factories after two Prevent Group-owned suppliers providing transmission and seat parts halted deliveries.